Some supplements may help you get a grip on ADHD symptoms and challenges. Others don’t. Find out which is which. Most ADHD professionals recommend eating a diet full of fruits and vegetables, complex carbs, and some lean protein with every meal to help manage symptoms. However, not everyone eats the right foods to achieve beneficial levels of certain nutrients. In other cases, our bodies don’t produce some nutrients we need, so we have to get them from supplements. Find out which vitamins, herbs, and supplements may treat ADHD symptoms. If you are looking for a single supplement to add to your diet, it is omega-3 fatty acids. Besides being good for heart health, recent studies have shown that omega-3 fatty acids improve symptoms of ADHD. A comprehensive look at many studies showed that omega-3’s are about 40 percent as effective as stimulants in relieving symptoms. According to Dr. Newmark, kids between four and eight years old should take between1,000-1,500 mg. a day. Older kids should get 2,000-2,500 mg. daily. Look for a product that has twice the amount of EPA to DHA—the two main types of omega-3’s. Liquid or capsule forms of omega-3 fatty acids are best. The gummy and chewable versions have lower amounts of EPA and DHA, requiring your kid to take too many to reach the recommended dose. Some studies have shown that children with ADHD may have lower levels of zinc and taking supplements may reduce hyperactivity and impulsivity but not inattentiveness. High levels of zinc, however, may be dangerous. Have your doctor check zinc levels before taking a supplement. If you do add a zinc supplement, Dr. Sandy Newmark suggests that children with ADHD take a 20 mg. supplement daily. Some experts believe that iron deficiencies may contribute to ADHD symptoms in children. A study completed in 2008 showed children who were not anemic but had low ferritin levels, a protein needed to store iron in the blood, showed significant improvement of ADHD symptoms after 12 weeks of iron supplements. Before taking iron supplements, speak with your doctor about checking iron levels: High iron levels can be dangerous. Low levels of magnesium in the blood can decrease attention span. Some small studies have shown that adding magnesium supplements decreases some symptoms of ADHD. Magnesium also helps with sleep and relaxation – big challenges for children and adults with ADHD. A daily multivitamin, containing the recommended daily allowance of vitamins and minerals, is important for optimal brain health. Many of the multivitamin/multimineral products on the market contain sugar, preservatives, and artificial colors, which may increase hyperactivity in children. Look for brands that are low in sugar with no artificial colors or flavors. If your child doesn’t eat high-protein foods, which are key to increasing attentiveness and focus, or is a picky eater, give him a protein-powder drink in their place. You can mix it with his favorite juice or milk to help the protein go down easier. Look for brands that are low in sugar and free of artificial flavors and preservatives. 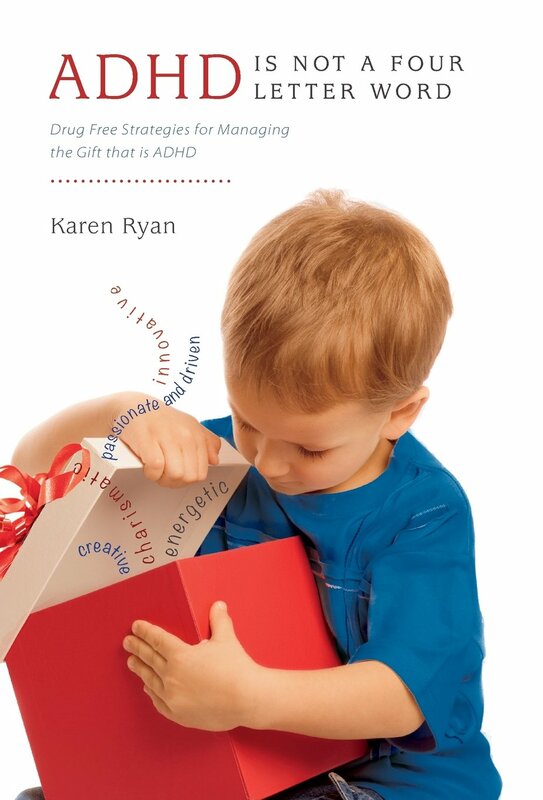 There is limited evidence that supports using herbs in treating ADHD. The herb valerian can calm hyperactivity and may reduce anxiety, but it doesn’t improve concentration. Valerian also helps with sleep problems and lessens the “rebound effect” that some kids experience when stimulants wear off. Talk with your doctor or a nutritionist who specializes in herbs about this herb. Melatonin is a natural hormone produced in our bodies to help us get to sleep. When we turn off the television, dim the lights, and settle down for bed, our body produces melatonin and we become sleepy. But for those with ADHD, sleep is sometimes difficult to come by. Melatonin supplements can help and are safe to take. Always start with the smallest possible dose. Give Ginkgo and Ginseng a Try? Some small studies show that Ginkgo biloba helps improve memory and, when taken with ginseng, can decrease impulsiveness and distractibility. Other studies have shown no or minimal improvement. Talk with your doctor or a nutritionist who specializes in herbs before trying them. These herbs can cause health problems, especially if you have a history of diabetes, seizures, or schizophrenia. They may also interfere with other meds. “All natural” is not synonymous with “safe.” Many herbs and supplements have side effects, may cause or worsen health problems, or interfere with prescription medications. Talk with your doctor before taking any supplements. When your doctor asks if you are taking any medications, be sure to tell him about all vitamins and supplements you take on a daily. For many supplements, there isn’t a lot of research to determine a recommended daily dose. Pay attention to your body and adjust the dosage if you notice something is wrong. For example, you may be taking zinc supplements and find yourself getting stomachaches. Discontinue or cut back on the supplement to see if the stomachaches disappear.